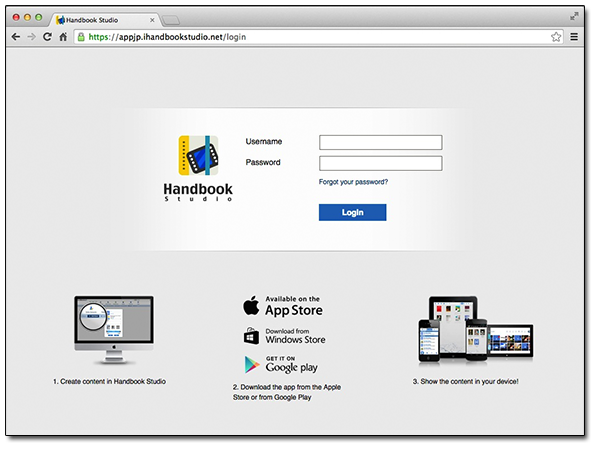 “Handbook Studio” is a server software application used to upload files and distribute content. 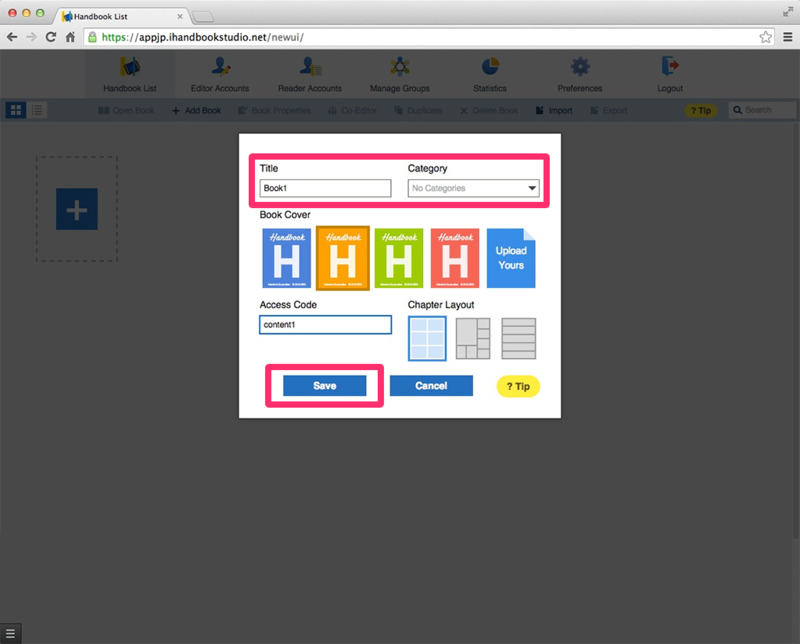 First, let’s start with uploading content to the Handbook Studio, which is accessed from a web browser. First, you will try out the free trial; an account is immediately issued. After registration you can access the “Handbook Studio” from the browser and log in with the username and password provided in the email sent to you. For browsers, please use Google Chrome, Firefox, Safari, or Internet Explorer 10 (only with Windows 8’s Modern UI). “Handbooks” are the containers that store all the content in Handbook. Prior to uploading any content you must make a Handbook first. For this practice let’s name this Handbook “test”. 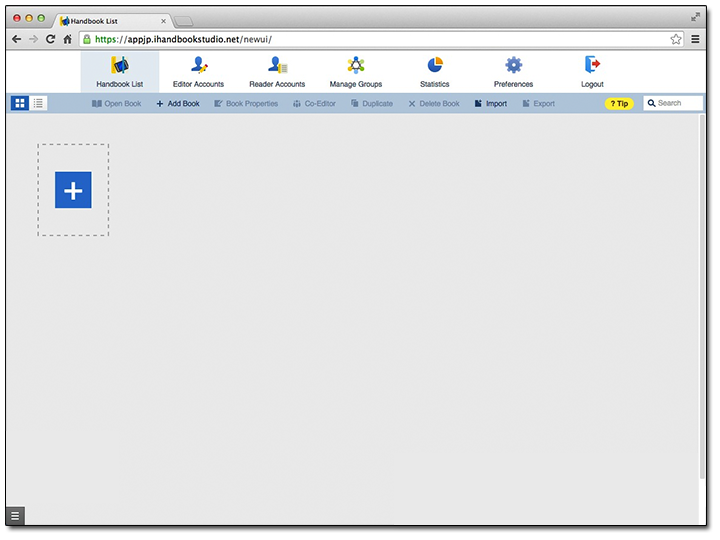 Click on the “Add book” button from the menu bar or add a Handbook by clicking on the blue “+” button. For this practice enter the Handbook’s title “Test” and the access code “content1”. What is an "Access code" ? It’s a coded string of characters given to books and chapters that are designated to a user so they can access their content. You can’t use access codes properly if you configure them based on the concept of users or user groups since access codes are used to configure content.